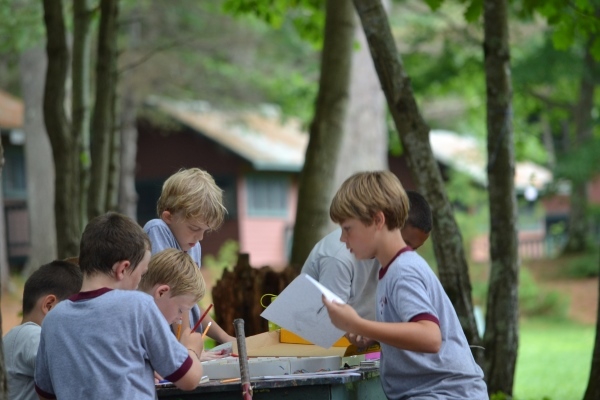 An interview with Erik Calhoun, Director of Camp Agawam, a Maine Camp Experience camp. How common is homesickness at summer camp? Camp Agawam is a seven-week sleepaway camp, so obviously homesickness is something that we encounter. In broad terms, I would categorize homesickness into two categories. One would be minor homesickness that goes away over a short course of time — maybe two, three, four days. Then there’s acute homesickness, which is more severe and takes longer to work itself out. How do you respond to “minor” homesickness? Minor homesickness is pretty straightforward. What typically happens is that when a child comes to camp he is out of his comfort zone. He is sleeping in a different bed, he has a different group of people around him, and the surroundings are different. There’s a routine that he hasn’t become accustomed to yet. It’s almost always a matter of expanding that comfort zone and really understanding the geography of the place. Once the camper has really internalized the schedule, and they know what’s happening next, things fall into place. For younger children, it might be as simple as going over the schedule with them every day, making sure you’re introducing and reintroducing them to what to expect and when. And what about the more “acute” homesickness? The more acute homesickness is tough. Boys especially struggle with it. The most important thing we can do as camp professionals is to normalize it. Campers look up to their counselors, and so when they share that they’ve been homesick too, they help normalize it for them. We also work on strategies. Kids aren’t homesick when they are flying down a zip line, or swimming, or playing basketball. It’s when they’re sitting by themselves that it hits. Often this occurs at night or in the morning, if they can’t fall asleep or when they wake up early. Unstructured time is difficult too. It helps to make sure you provide opportunities for things to do and keep them busy. But, ultimately, the most important thing is having adults that care and are keyed in. They must read the signs and make sure they are proactive. About 85% of our campers return the next year, and often these are the same ones who felt homesick in the beginning. How should parents handle their own fears about the transition? As a parent, when you’re sending your child away you are often experiencing anxiety too. Children are excellent at reading their parents and can pick up on that anxiety. And often when parents are telling me, “I’m not sure if my child is ready,” what they’re really telling me is that they’re not sure if they’re ready. As a parent myself, I understand that it’s tough to be away from your child for a stretch of time. But I can also tell parents confidently that they’re going to miss their child more than their child is going to miss them. It’s hard to hear, but it’s the truth in most cases. To whatever extent you can shield your camper from your own anxiety, the better. When a family has made the decision to send their child to camp, what do you suggest they do to prepare before camp begins? If there is an opportunity to physically visit the camp before the start date, take it. Then when the child arrives for summer it won’t be the first time he/she’s setting foot there. The familiarity helps. Additionally, camp directors can connect you with families who live close by. At our camp, the future camper can spend a day with a current camper (so when they gets to camp there’s somebody they already know). That exposure is very helpful. Do you suggest that parents explain to kids before they leave for camp, how the camp and they as parents will respond to their potential homesickness? Yes, that’s important. Sometimes a child is so excited for camp, but he/she hasn’t really processed the whole thing and by day two they realize, “Woah, I’m far away from home in this different place.” And sometimes the child who has major concerns before camp starts has in fact internalized what it will be like. Then this child has a much easier transition. But preparation is always a communal and positive effort. How should parents respond once camp is in session to concerns about homesickness with their child? There are also a lot of similarities between Maine camps, but there are also differences, too. Agawam is a camp that has a specific, structured phone call policy. The way you communicate with your child primarily is through letters. It’s really important as a parent to be supportive. It’s hard for a parent to let their child experience the upset they may read about in a letter home. In such cases, I’d recommend that parents call the camp because the chances are that by the time that first letter is opened at home, it’s five days old and things have changed significantly since. People think homesickness only happens during the first summer, but it can also happen in the following years for different reasons, right? Every summer is a little different. Summer two or summer three might not go as the camper had anticipated and a bout of homesickness may kick in. But these are important developmental experiences and it is completely normal. At some point anyone will experience homesickness. For many it’s when teens go off to college. So having these coping skills and this independence early in life is an important foundation.